February | 2013 | Maintain Your Composer! I may say this for several other composers on this blog, but the one who needs the least amount of introduction, in my opinion, is John Williams. 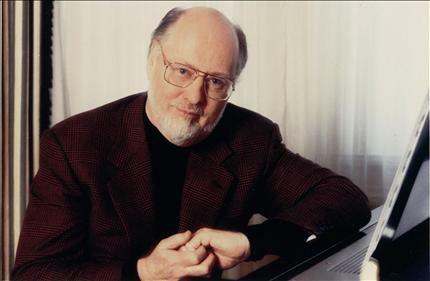 John Williams’ melodies for film permeate modern society, often times more lasting and instantly recognizable than the films themselves. However, he has composed a wealth of concert works, including many concertos, symphonic works, and chamber works of various orientations. and Sound the Bells! (1993), which we will briefly explore. This entry was posted in Uncategorized on February 12, 2013 by janaigus. As my first post I’d like to briefly explain the purpose of this blog and what you will find on subsequent posts. In short, this is a blog focusing on influential modern composers who have contributed at least one work to the brass ensemble genre. I will include a brief bio on each composer, a list of all (or most) works they have written for brass ensemble(s), and pick one work to focus, hopefully providing an audio or visual example for support. As a composer myself, I find the study of newer works especially interesting. It seems to me that music, perhaps as a product of ever-increasing globalization (and subsequently a shrinking world, so to speak), is really a melting pot of ideas and cultures. This is, of course, especially in relation to strictly defined and rule-bound pieces from our friends in the Renaissance and Baroque period. This is perhaps an unjust comparison, but never the less the amount of ‘unexpected’ in modern brass ensemble music is much greater, and in my opinion, much more exciting. Today, I leave you with a piece from the composer who will be the subject of my next post, John Williams. The timing here is appropriate, as he just (2/8/13) celebrated his 81st birthday. Here is Quidditch, from the score to Harry Potter, as performed by the Boston Pops. This entry was posted in Uncategorized on February 11, 2013 by janaigus.